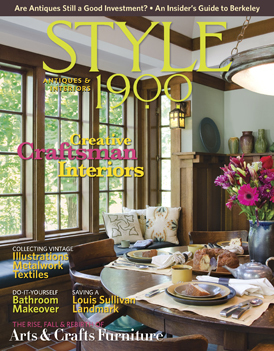 The Nov/Dec issue of Style1900 Magazine is out featuring our guest bathroom. 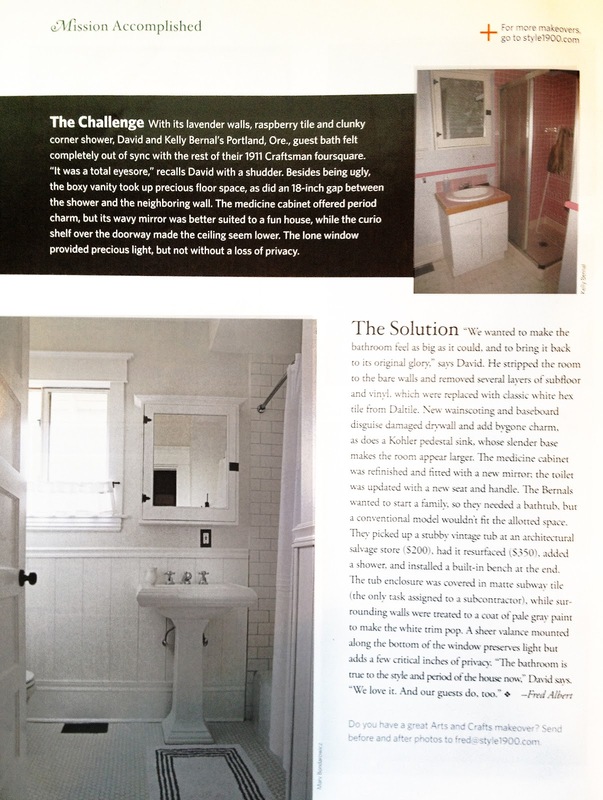 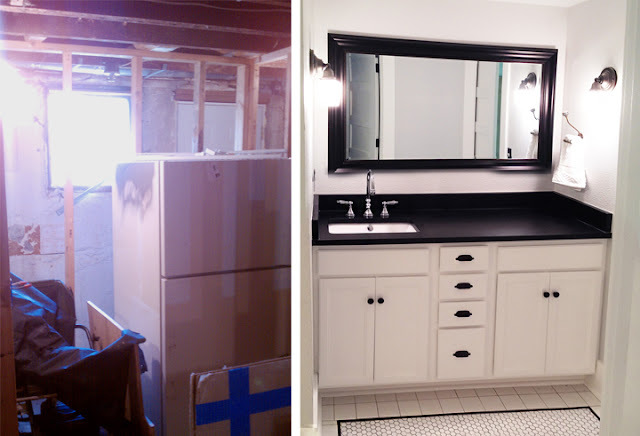 You can check out the article and see a before and after pic online here! 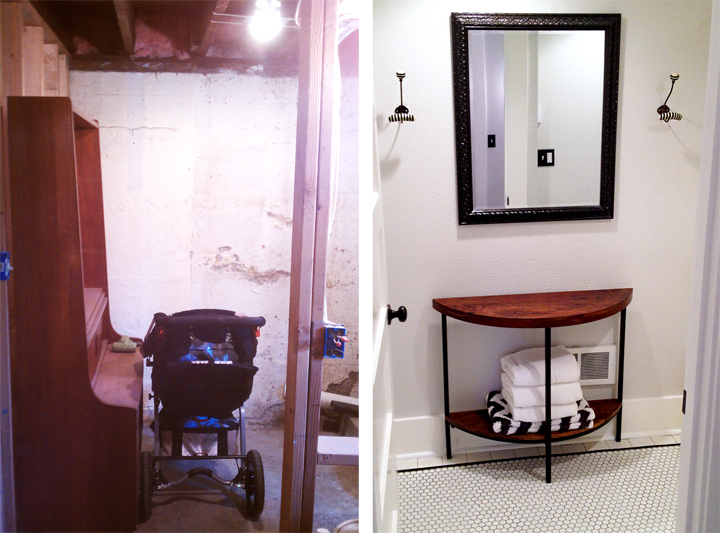 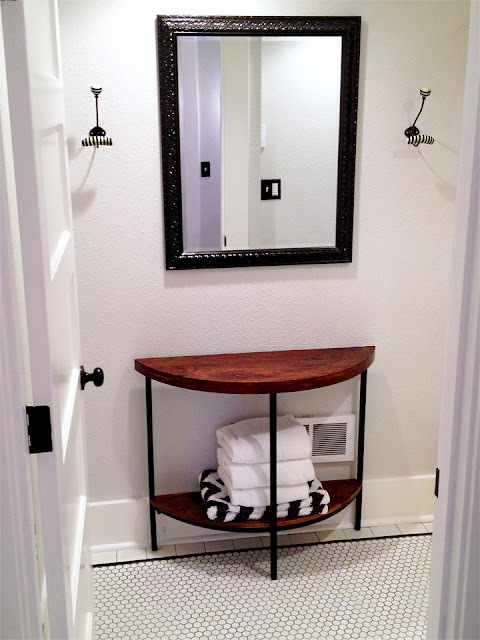 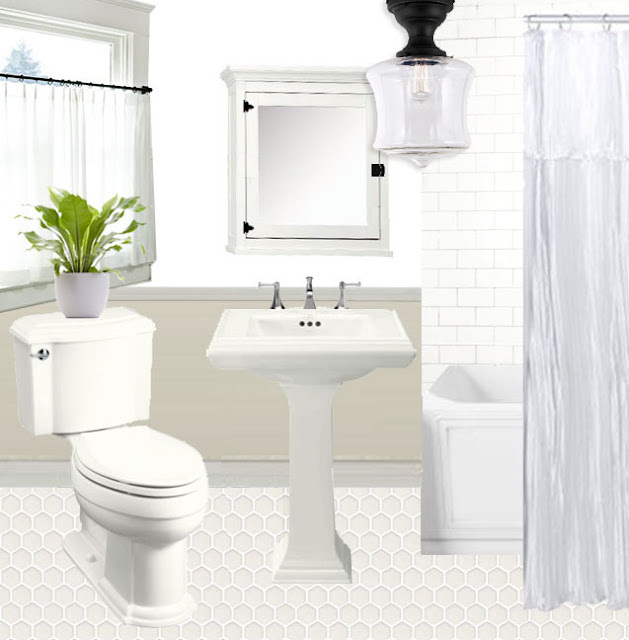 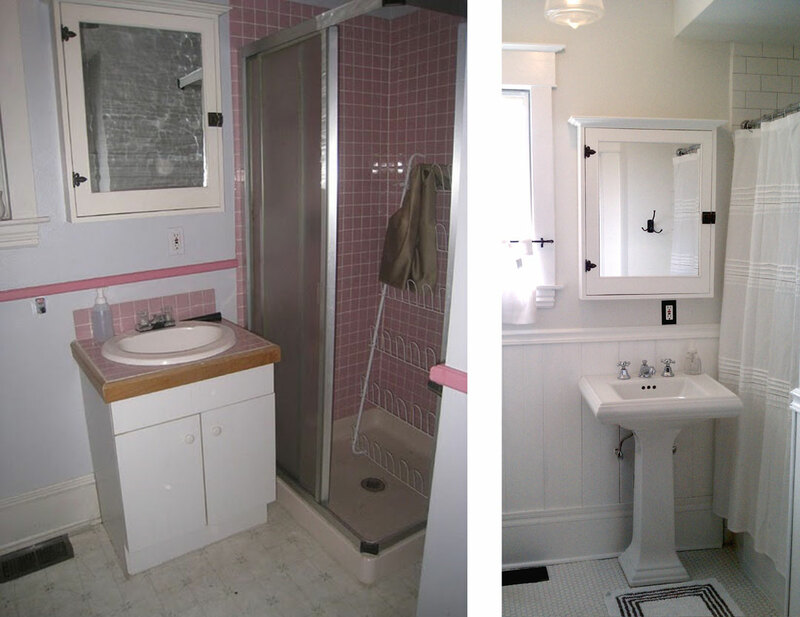 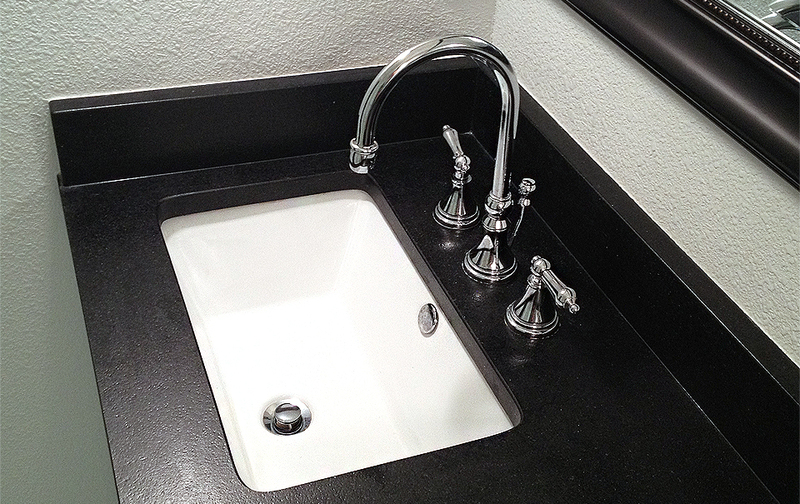 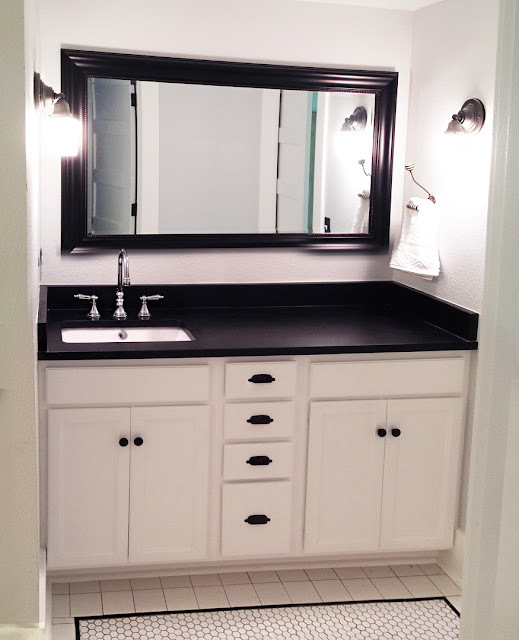 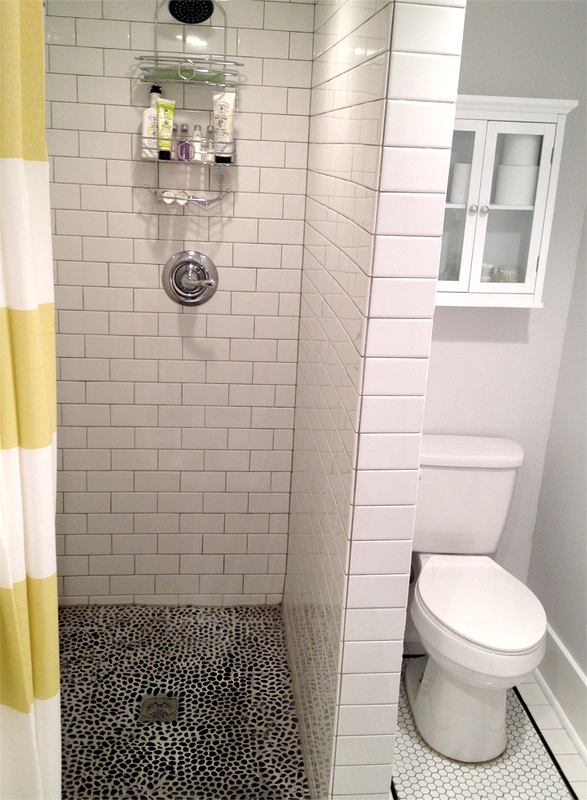 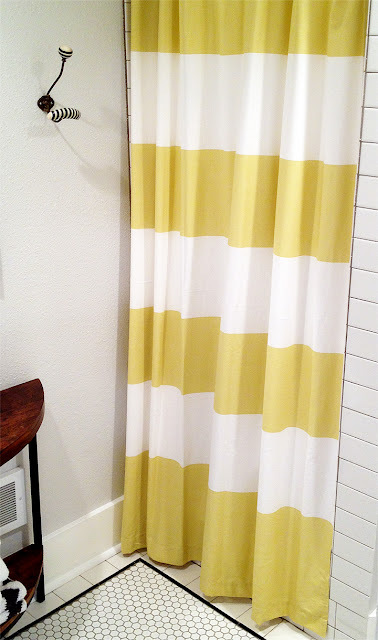 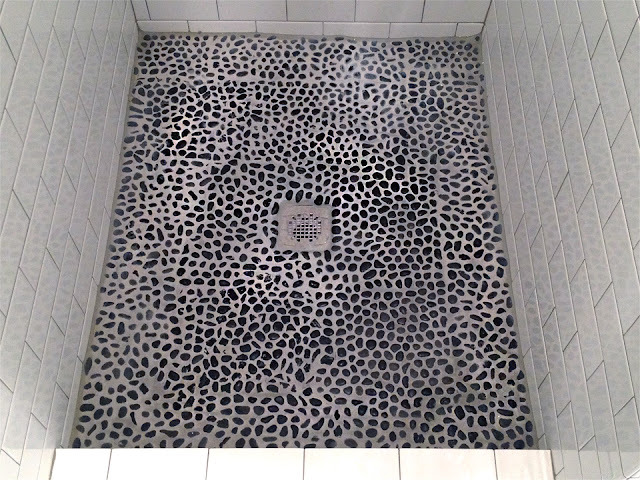 Guest Bathroom: The Renovation is Complete! 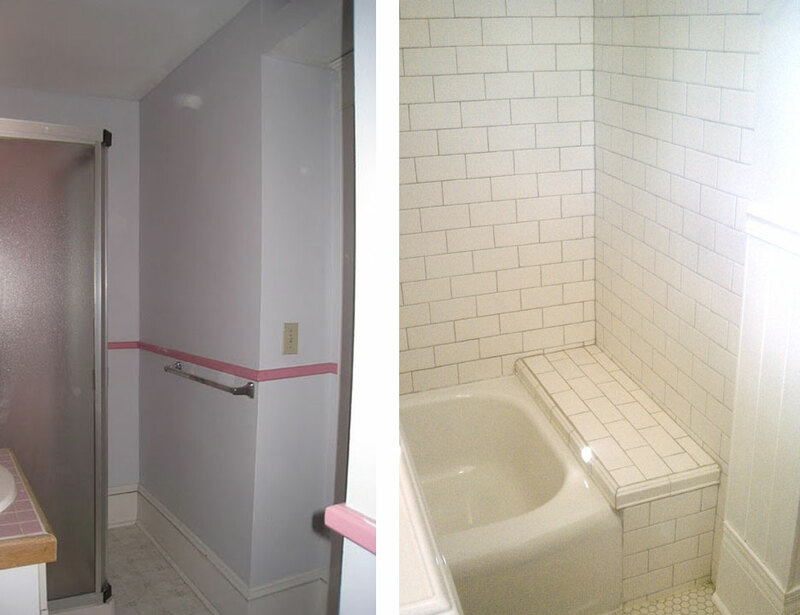 The purple paint is gone. 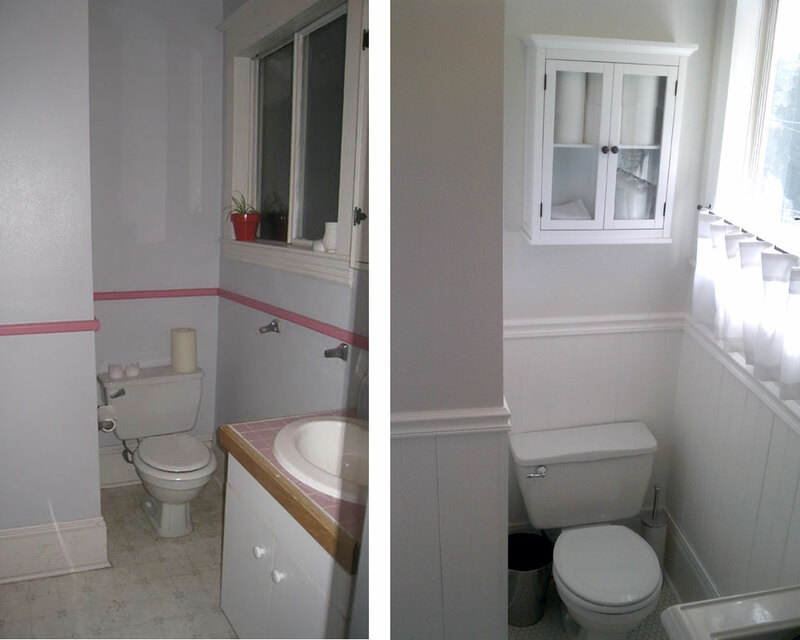 The pink paint is gone. 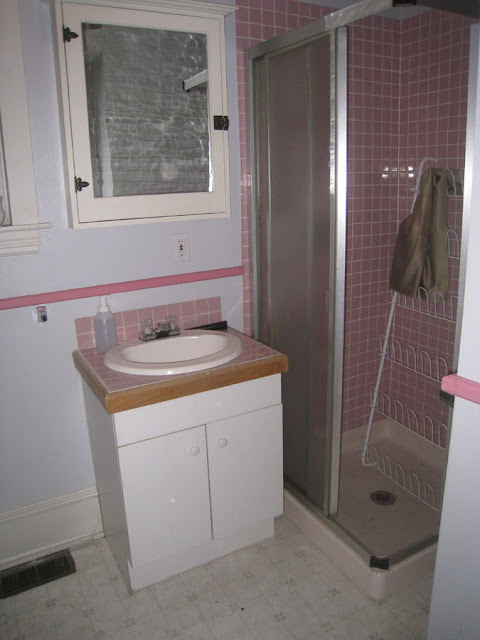 The pink tiles are gone. The laminate is gone. The shower enclosure is gone. 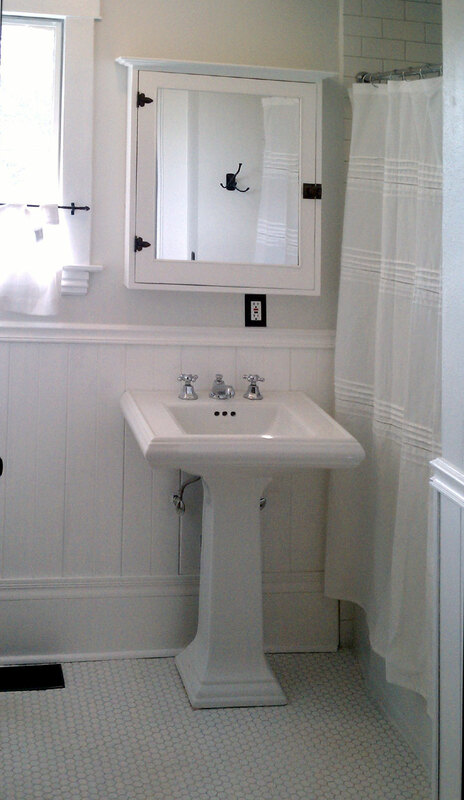 The vanity is gone. 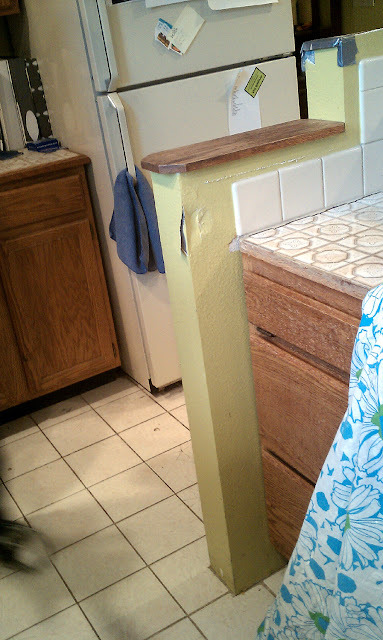 The shelf going through the middle of the space is gone. Gone is a glorious word. 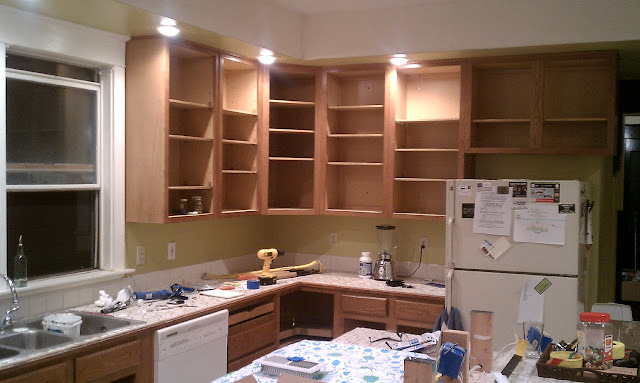 As for what is not gone, it's a short list. 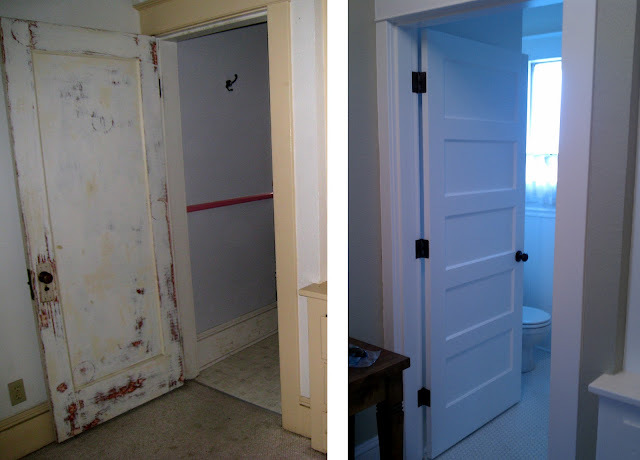 The original medicine cabinet was spared and received a fresh coat of paint along with a new miorror. The toilet also stayed, but was spruced up with a new handle and seat. 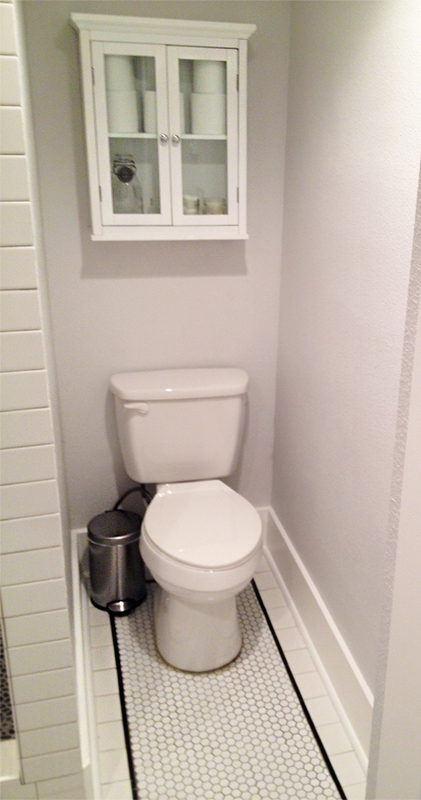 The bathroom is small and there was no option to exand. We wanted to give it an airy and roomy feel, keep it functional and restore it with period charm. 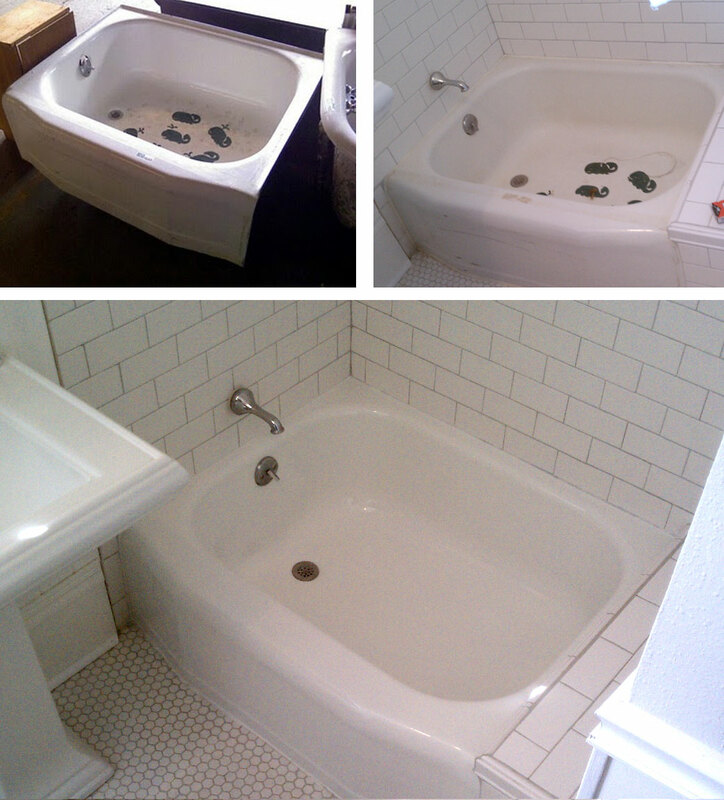 We wanted to add back in a bath option for kids while keeping the shower option for adults. 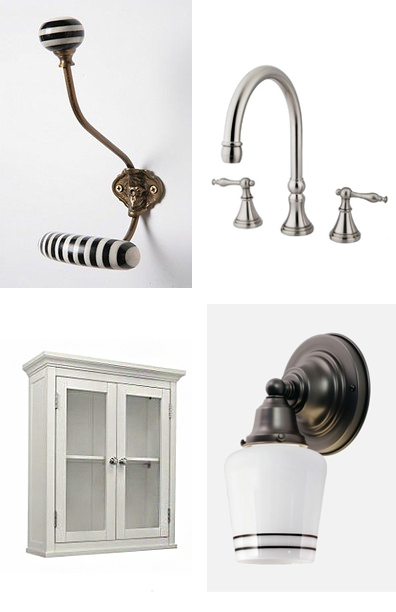 Below is the mood board I created as our guideline during renovation. Well, maybe semi-famous. 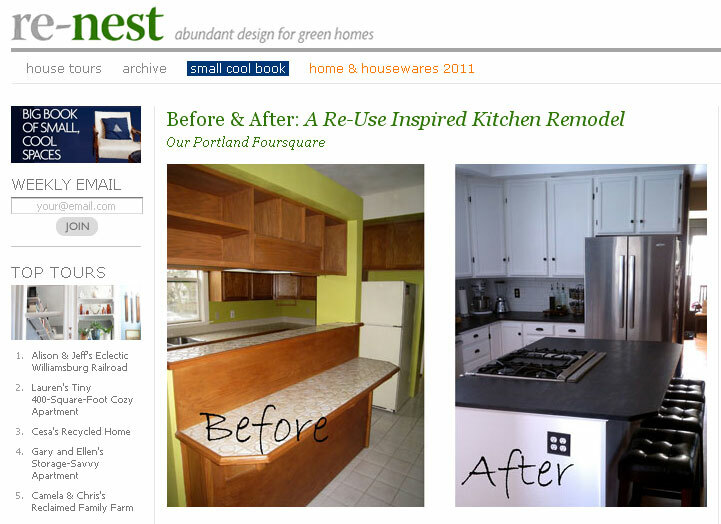 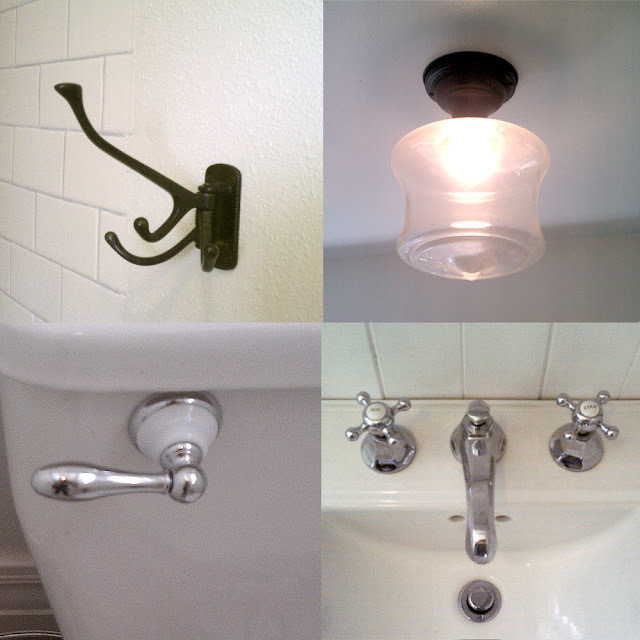 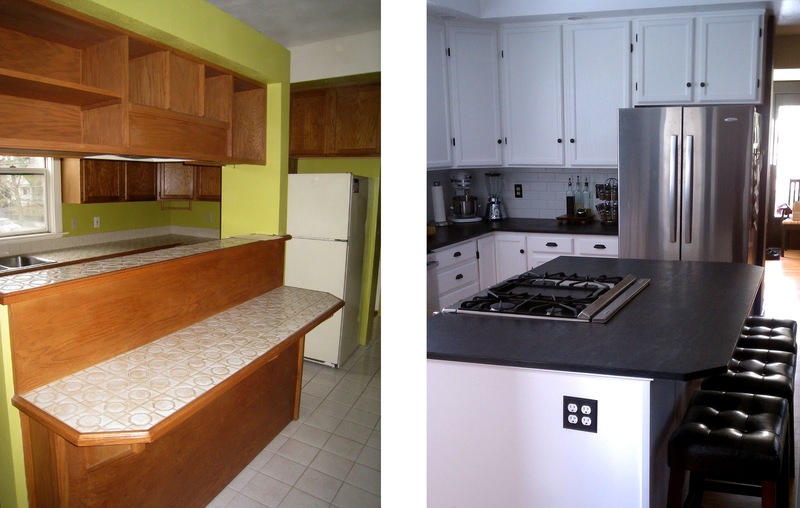 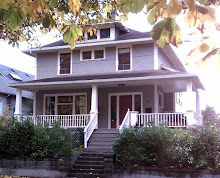 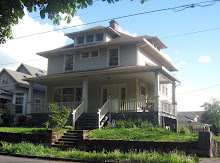 Apartment Therapy is doing a series of posts that focus on 'abundant design for green homes'. Up today....our kitchen! 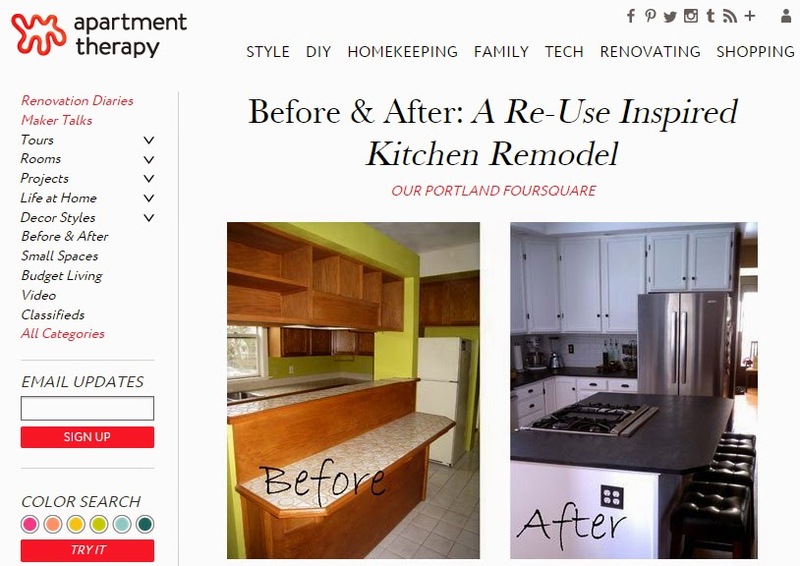 Click here to go directly to our feature. Kind of exciting! 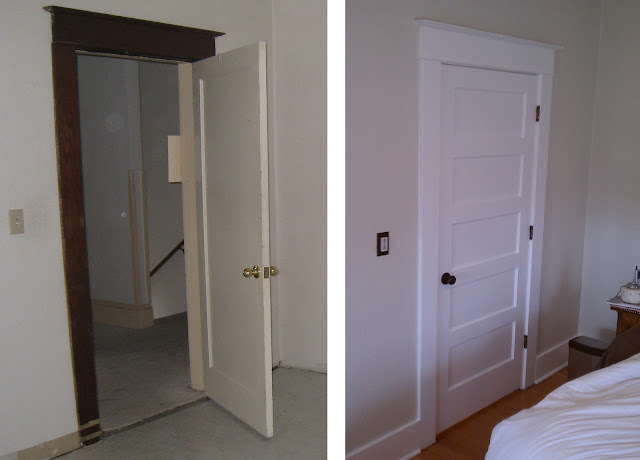 Beautiful new 5-panel doors now live in the five doorways of our second story. 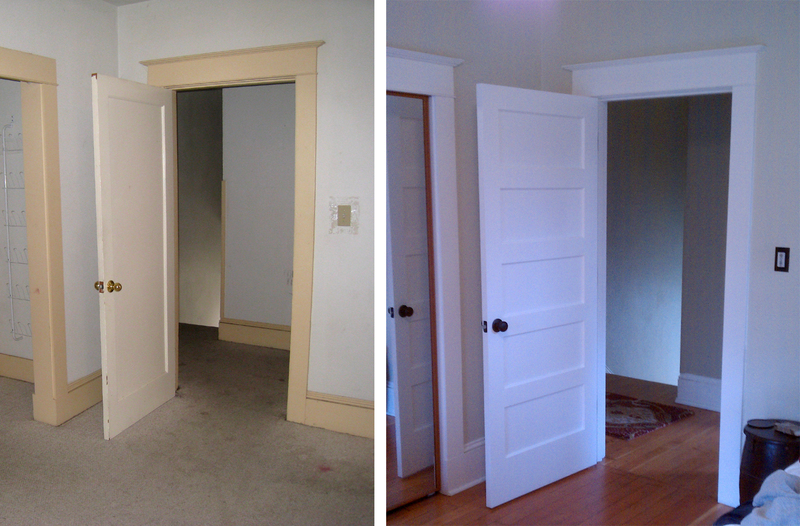 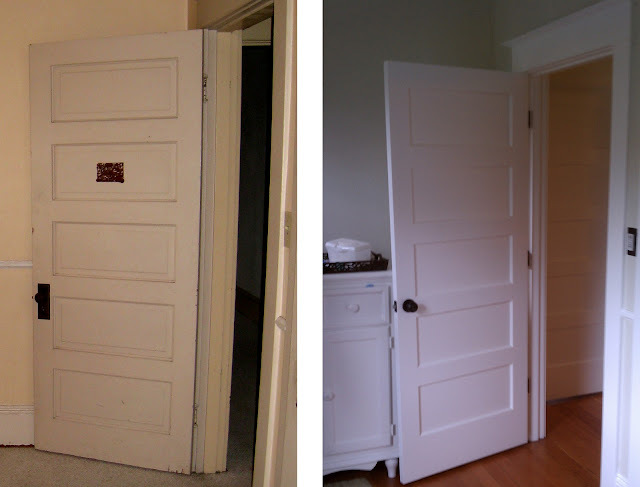 We replaced four existing doors that where too short (due to removing carpet and vinyl tile) not square and UGLY! 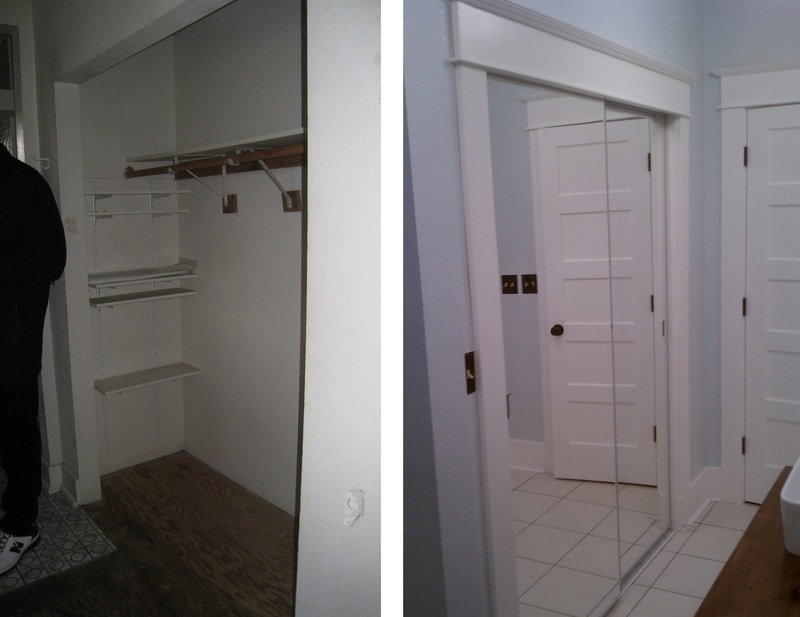 We added a door that's been missing since we moved in between the master bedroom and bathroom, and added mirrored sliding doors to the closet in the master bathroom. 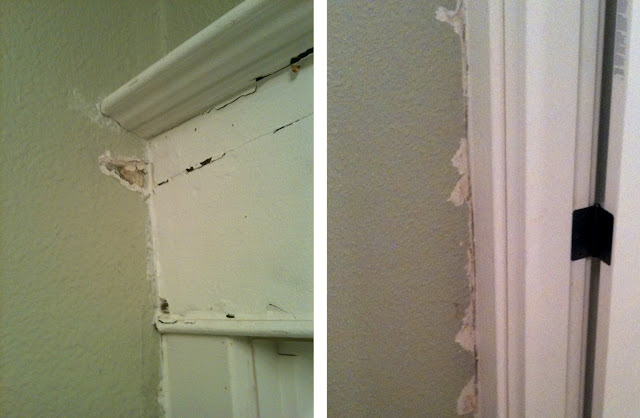 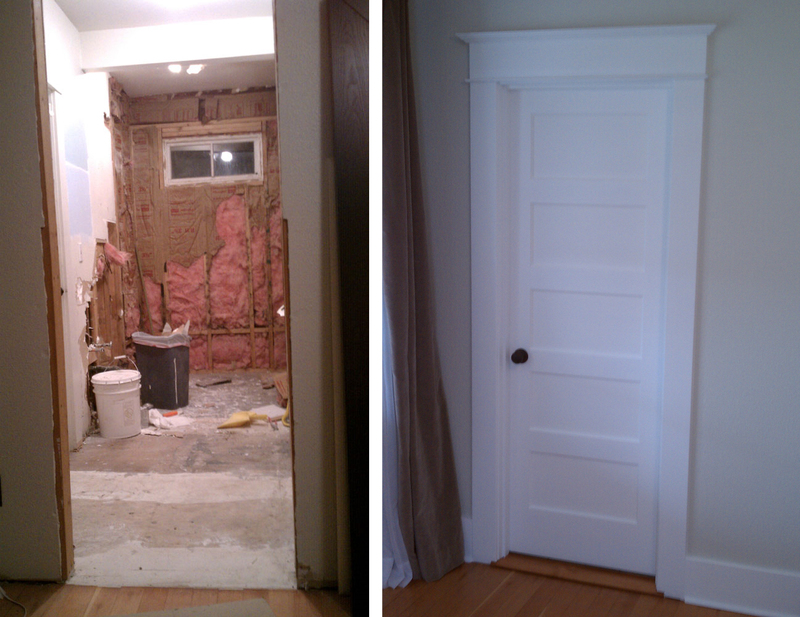 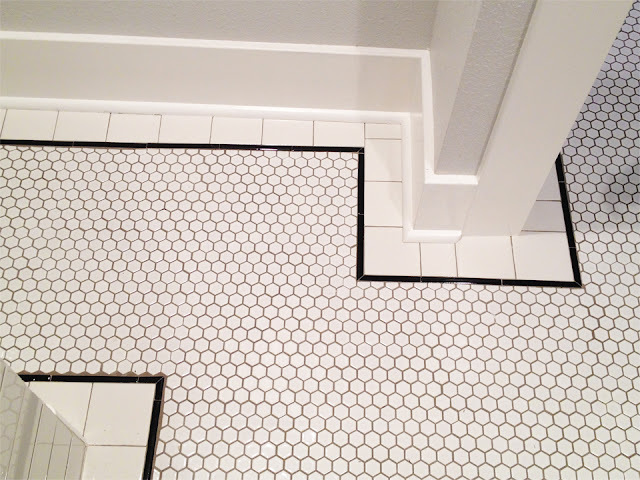 Master Bathroom: This doorway was sans door, trim or even flooring when we moved in . but we donated it to a local rebuilding center through which we hope it finds a new home. 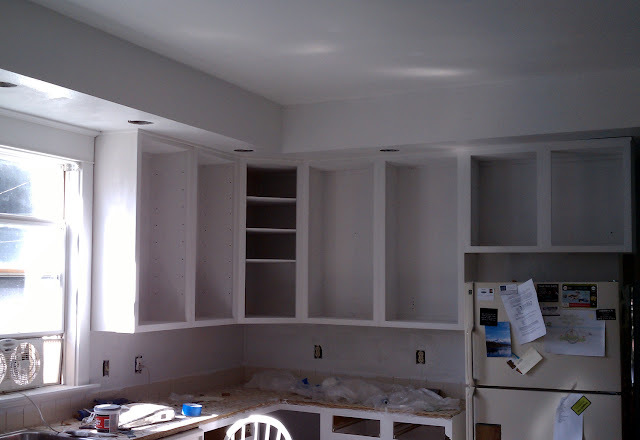 After months of planning, demolition, rebuilding, installations, painting and more painting (the cabinets took six and sometimes more coats)...the kitchen is done! 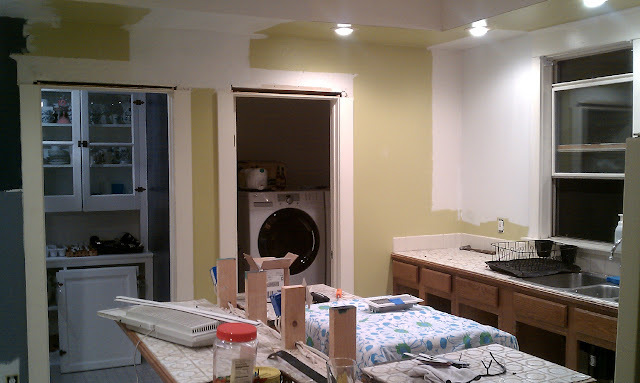 This was a mostly DIY job. 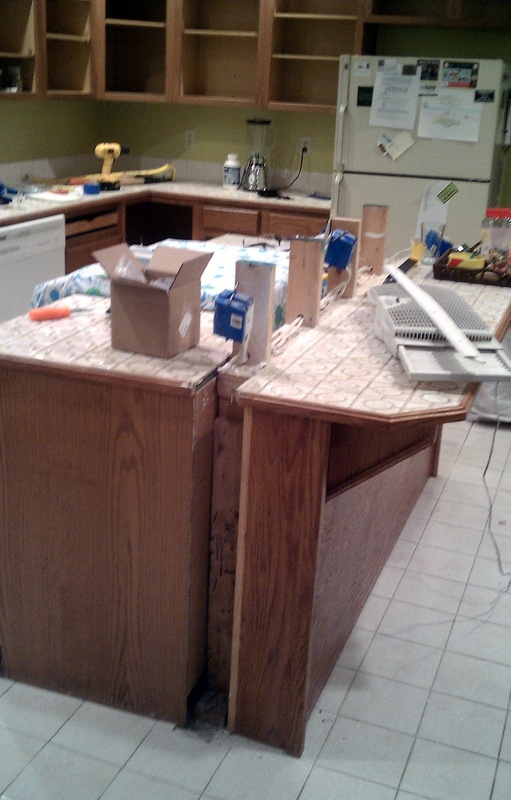 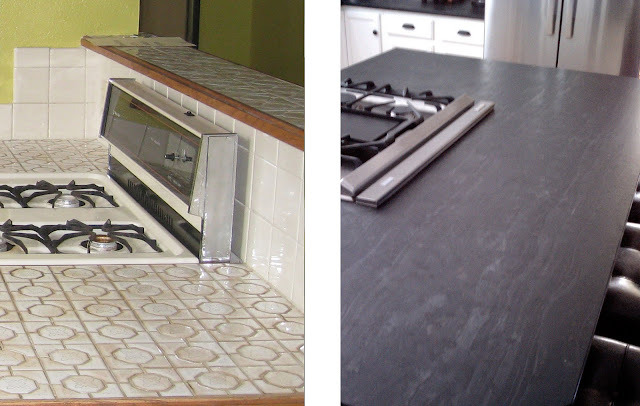 We did everything but sand and finish the floors, fabricate and install the granite, and rebuild the island. Phew! 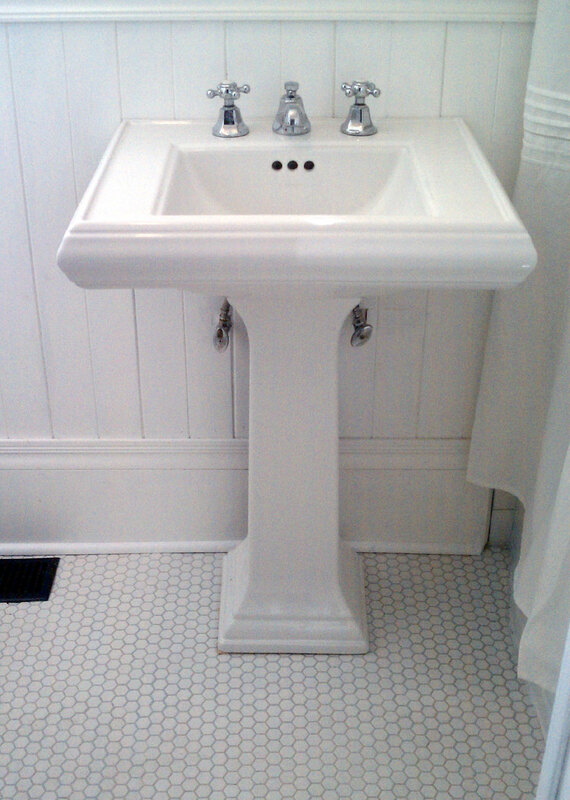 To our delight, it turned out just as we hoped -- nice and new but with a clean, period correct look. The day finally came to paint over the green walls! 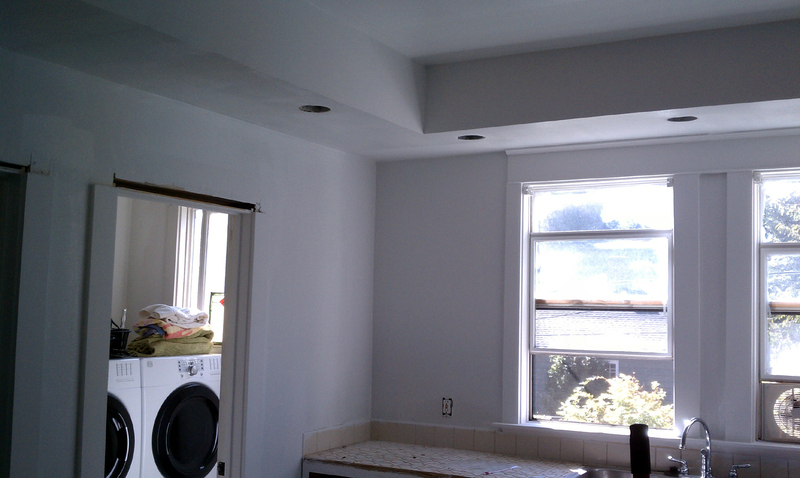 Here's an after photo of the final painted walls. 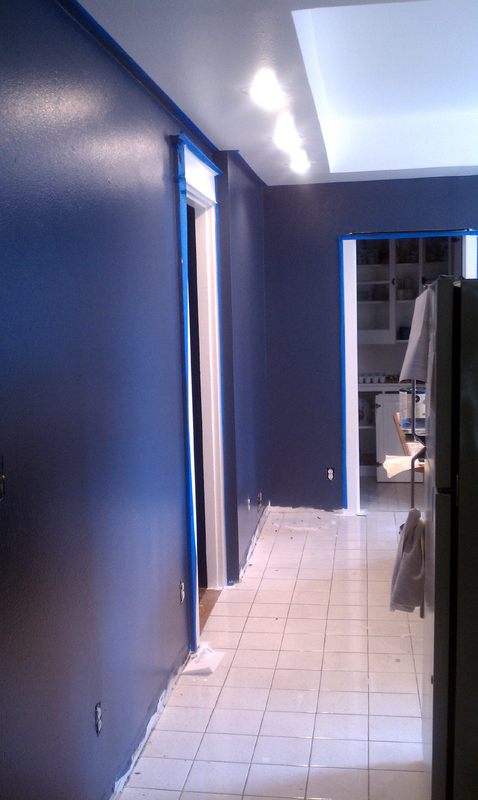 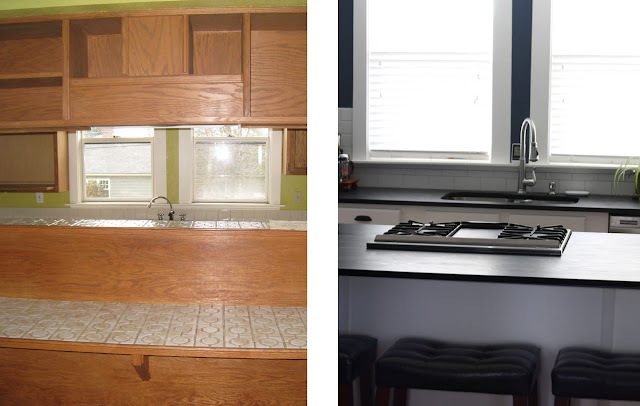 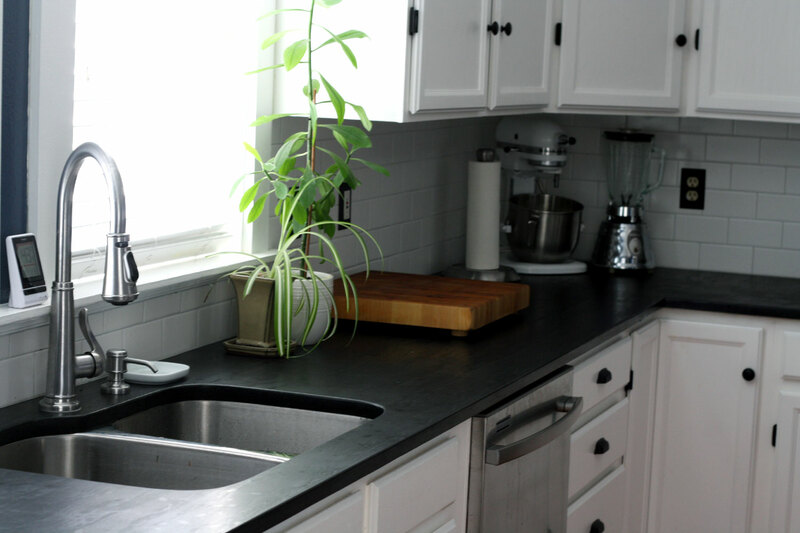 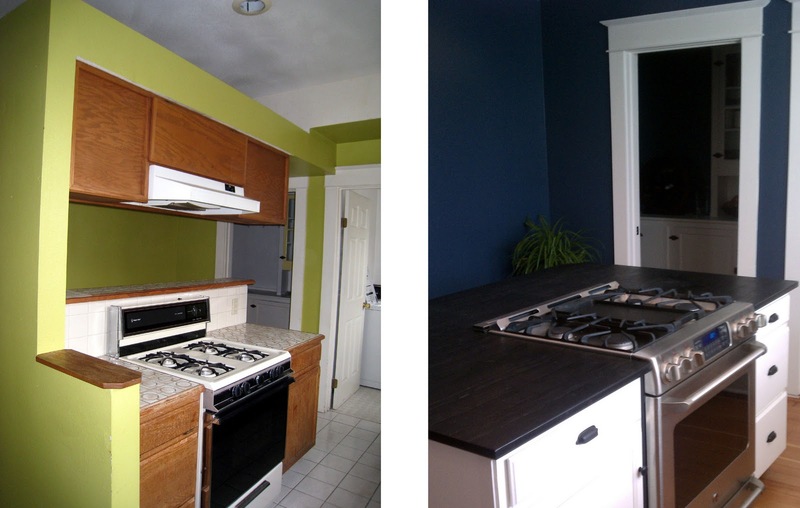 We used the same dark blue color that we painted the pantry (check it out here). 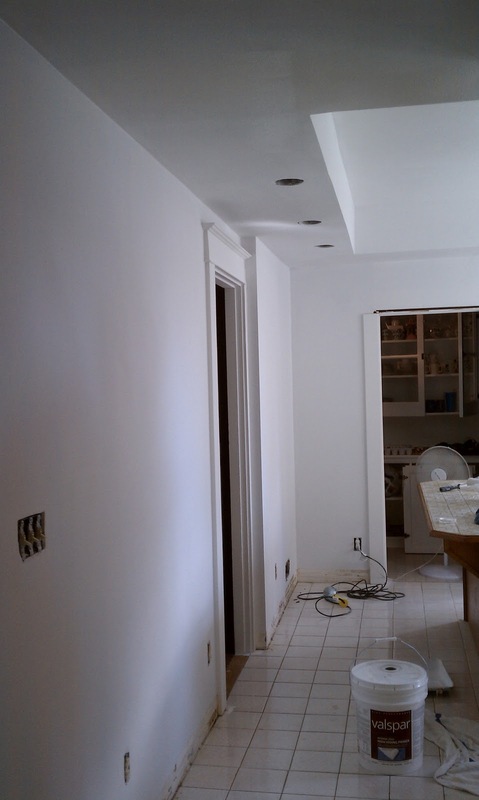 And (of course) the wall was built to withstand a tornado and was not coming out without a flight. 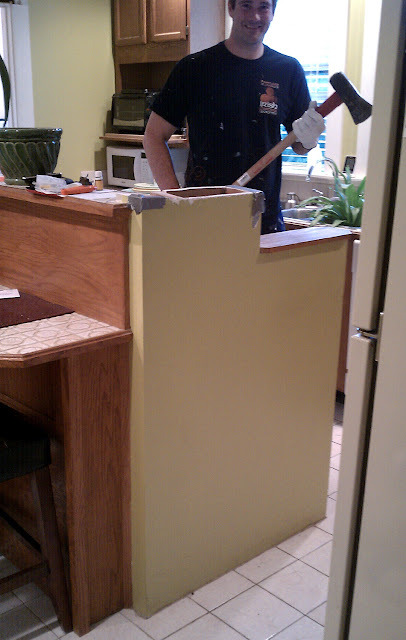 Here's David preparing to wage war against it. After the partition base came down, David dismantled the island and prepared it to be reconfigured and rebuilt.